LegalZoom User Reviews & Pricing - Is it Legit? LegalZoom provides personalized online legal solutions and documents to small businesses. Its services include LLC formation, attorney advice, wills and trusts, trademark registration, legal forms, and more. In this article, we cover LegalZoom reviews and popular pricing information. Ready to get started with LegalZoom? Visit its website. As of the date this article was written (02/12/19), there are not a lot of LegalZoom positive reviews online. A few said that it offers forms and documents that were useful for their legal needs. Users who gave LegalZoom a negative review reported that the company often makes documentation mistakes which prolong the process of business formation. Others complained about its poor customer service. LegalZoom pricing for its most popular service, LLC formation, has three options: Economy ($79 + state filing fees), Standard ($329 + state filing fees), and Express Gold ($349 + state filing fees). The main difference between the plans is access to advanced services such as rush processing with the Secretary of State, express shipping, and more. Other business formation services, such as Incorporation, also offers three pricing packages: Economy ($149 + state filing fees), Standard ($239 + state filing fees), and Express Gold ($369 + state filing fees). Last will and testament packages are also available with prices that range from $69 to $149. Interested users may contact LegalZoom’s customer support team for more detailed pricing information. Ready to get started with LegalZoom? Visit its website. Are LegalZoom documents made to fit the requirements of each state? Yes. All of LegalZoom’s documents are designed to meet the specific laws and requirements of each U.S. State. Users can freely edit these documents to match their details and additional specifications. How does LegalZoom help users start their own corporation? LegalZoom simplifies the process of starting a corporation by preparing and collating all the needed documents for its registration. It simply asks clients to fill out a questionnaire for the legal documents which will be filed to the Secretary of State. Once approved, clients will receive their complete corporation package via mail. 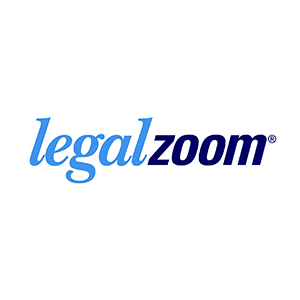 Have you read these LegalZoom reviews and are still not sure if it’s the right fit for you? Read our reviews of all top online legal services. I opted for LegalZoom to start my LLC. I have nothing positive to report on my experience. The entire process from start to finish felt very dishonest and exploitative, like going in for routine repairs on a vehicle and walking away with a $600 bill. While purchasing business registration services online, I found myself having to repeatedly unclick add-on services that were described in such a way that made them sound like required services to start my small business. Somehow, I made it to the end and purchased only the services I knew I needed. My total bill was roughly $300. After being charged the initial amount, I discovered two weeks later I had been charged an additional several hundred dollars. I contacted LegalZoom about this discrepancy. Evidently, my account indicated I had elected for one of those add-on services I am 100% certain I did not, as I recall being very annoyed and double-checking I had unselected all of the boxes. No problem, the lady told me, I just had to wait several weeks to receive documents from LegalZoom, then contact the State myself and submit additional documents, then wait several weeks for that reply, at which point I could contact LegalZoom again, via official mail notice, of course, and they would have no problem helping me out by returning the funds they essentially stole from me. Not to mention the fact that I was on hold for over 30 minutes before I could reach someone. UPDATE to 2 months later: I received an email from LegalZoom stating my documents were returned undeliverable. As it turns out, LegalZoom got the address wrong, despite the fact that I called to confirm it was correct the week I placed my online order. Do it yourself or find a better option. Google LegalZoom reviews. They are all terrible. And, LegalZoom isn’t even accredited. I wish I had Googled the name and online reviews. They did get my LLC Paperwork filed correctly and that’s about it! I signed up to get an LLC package and opted for a payment plan of $136 a month over a 3 month period of time. I was charged a separate charge of $249 that I did not authorize! I made several calls and sent several emails with not response or help. I did how ever talk too 2 different people and was explained that it was a regeistered agent fee. One that’s not included in the payment plan that I agreed to and authorized! Now I was also told that $100 of the was for a business license fee from their sister company. When I called them they told me it would cost $299 extra to get the license. All they told me wa go to the tax collectors office and get it there. I was charged $100 for some stupid advice that didn’t do a thing to help as everyone knows that’s where you have to go! I told them I don’t want that service and wanted to be refunded for the charge. I also explained the basic registered agent fee would be fine but not the other stuff and I was told I had to contact the state about it! I want my money refunded for the crap charges the fraudulently made to my account and did not authorize! I filed a complaint with the better business and I’m going to file a complaint with my bank and I’m going to contact the sheriffs department and report them for making fraudulent charges as well if they do not fix what they did! I clearly agreed to the 3 payments not the $249 2 days after the first payment was made! Oh ya and never gave me my company seal as it was included in my package I am paying for! That they pull shady and do fraudulent business! Totally unethical and unprofessional! Sell you stuff you don’t need, to insure their own revenue stream. “Registered Agent” is perfect example of hooking you into recurring payments. They set themselves up with the state to receive correspondence on your business, explaining that “its required by law”, not bothering to tell you it could be someone else of your choice, including yourself. If you want to cancel the recurring charge, you have to re-file paperwork with the State, and they won’t help you, saying, “we’re not familiar with the laws in all 50 states”. Where to begin?… 1) When forced to explain legal terms, they are condescending, and stingy with information. 2) Their Website advertises “Setup your business in 7 to 10 days” It actually took 6 weeks, because they misfiled papers, failed to contact us when papers were approved, and blamed delays on the state/fed government. 3) To get access to an actual attorney, you have to schedule an appointment several days in advance. We were entitled to ONE phone conversation, that’s all. Everyone else you talk to is just a telemarketer reading from a script. Their incompetence, their poor service, their disorganization, their #1 goal to “sell their products” overrides their ability to actually help small business owners. When they eventually realised how badly they had treated us, they refunded us about $1300, most of what we’d paid them. They were dishonest about phone calls they said they’d made, each person we spoke to contradicts the last. They’re clearly trying to squeeze more and more money out of us. Their website is also awful. That they are just crooks. We shouldn’t have ever used them to start our US company. Nothing. The level of incompetence and disregard for the customer is actually staggering. Anything to do with answering questions. Anything to do with LLC formation. Contact customers when there is a problem. They actually have no legal knowledge. They just process paperwork and charge you for it. Who Wins Best Online Legal Service?